Here & Now | A Denver Style Blog: ahoy! old navy shoes ahead! Working in a research lab requires wearing "closed toed shoes" to protect my dainty toes from dangerous equipment and hazardous materials. I also work on my feet all day, so relatively flat shoes are a necessity as well. I do love ballet flats, but wear them all day everyday, and usually run a pair into the ground every season. As a daily ballet flat wearer, I appreciate the plethora of options available now, and also jump for joy when I find a source of attractive & affordable options. So there was definitely a happy dance when I saw the offerings of ballet flats/flats in general at Old Navy right now. Have you seen the shoes at Old Navy lately? I also work in a lab, so I feel your pain! Nice to know there are so many cheap, cute options for flats. i have been lusting after lose yellow loafers and the green snake print flats...next time i see an Old Navy coupon, I am going to have to scoop them them up! wow love every single shoe(s?)! Wow I'm heading to Old Navy this weekend!! Heck yes. i love thos cap-toe canvas ones! how perfect. i have almost always had jobs that required no sandals/closed toe shoes and am always a bit afraid to wear things like that into work, so flats like this are perfect for me. Wow... great pics from Old Navy... they have really stepped up their game lately. I love the Red Snakeskin Cap Toe Ballet Flats.... and the yellow ones! 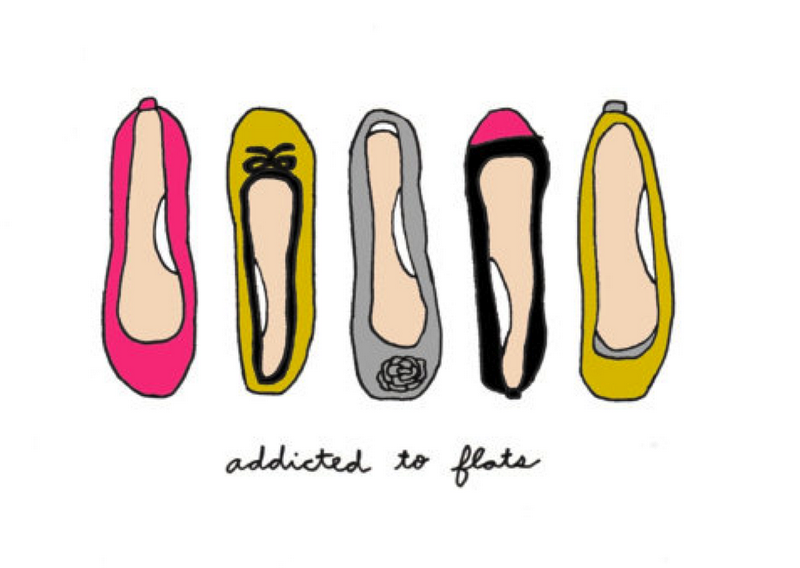 :) I love flats as well. Ooh! I love knowing that I am in good company with other research lab fashionistas! I've been eyeing the snakeskin loafers and cap-toe pair since they came out!